No business stays successful for long without providing the kind of customer service that turns first-time customers into long-time loyalists. We believe our generous warranty plans, helping our customers maintain peace of mind and keeping their golf carts covered in case anything goes wrong, are an integral part of that success. 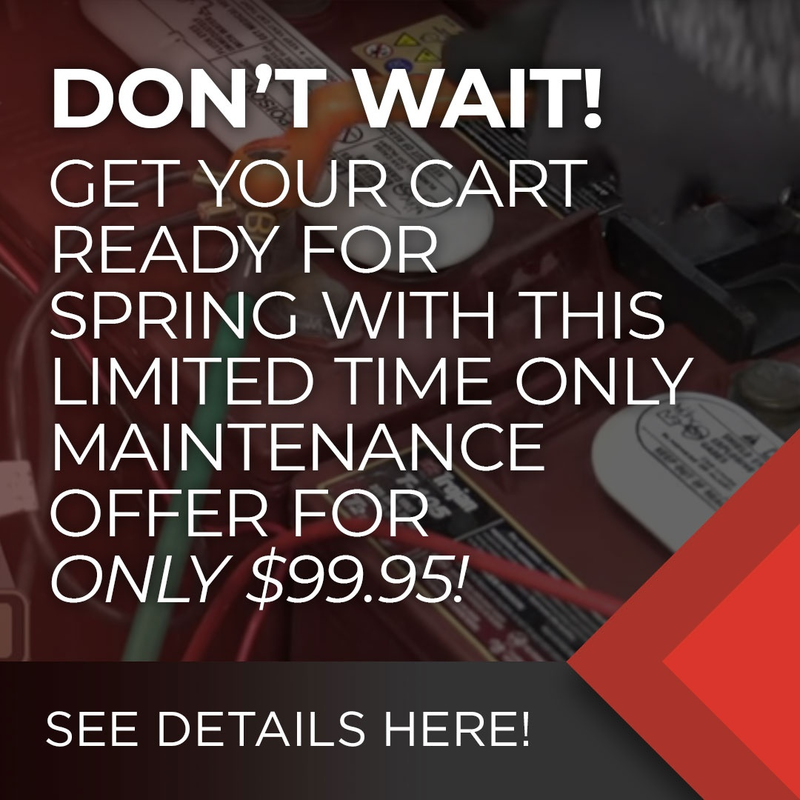 While most pre-owned golf carts from the year 2010 onward will carry a warranty, Garrett's Golf Cars cannot guarantee a warranty on every single vehicle. Warranty coverage will be determined on a case-by-case, transactional basis. Whether or not a warranty is available will be indicated at the bill of sale and specified on your invoice. Warranty period for qualifying vehicles: Free 6-month coverage, applies to all refurbished or pre-owned models 2010 and up that have been deemed at the bill of sale to carry a warranty. Coverage begins at the date customer takes possession of the vehicle. The warranty will cover: Frame and body trim, brakes, motor, wheel hub and bearings, steering shaft and components, spindle and swing arm assemblies, bearings, fittings, leaf springs, shocks, main and sub electrical wiring harness's controller, pedal assembly, computer fail-safe system, on board signal generator, lighting system, charger block and mechanism. The warranty will exclude: Batteries (unless purchased new). Accessories will carry a separate warranty from their manufacturer. This warranty does not apply to dealer or new vehicle purchases. New purchases will be covered under E-Z-Go's factory warranty. Warranty does NOT cover transport to and from repair shop. Customers will be responsible for transporting the vehicle to and from this location for repairs and service. The warranty will be considered void if: Damage to the vehicle is caused by misuse or abuse, poor maintenance, neglect, collision, accident, or for unreasonable or unintended strain or use. The warranty shall not apply to cosmetic wear and tear, fading due to exposure, improper charging (over- or undercharging), rusted or corroded hardware, improper fluid levels, loose wiring, or loose fasteners. Other reasons that the warranty may be voided include: Signs that the vehicle has been subject to alteration after leaving the premises. This includes but is not limited to modification of the speed governor, braking system, steering, drive unit or any other operating system of the vehicle that could cause it to perform outside of set specifications. To process a claim: Please contact our store and have a copy of your paid invoice ready, along with the vehicle's serial number. We will work with you to schedule a time to bring your vehicle in for evaluation. While coverage of warranties is rarely an issue, we reserve the right to approve or deny a claim at our discretion. 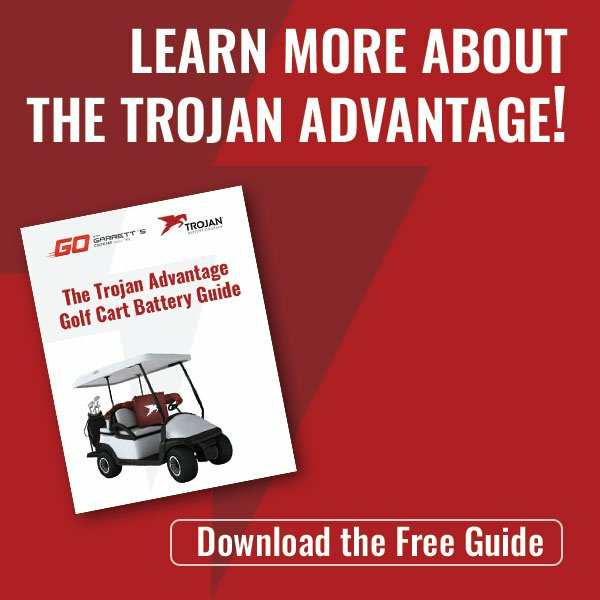 For more information on our warranty terms, E-Z-Go’s warranty page can help. Still looking for more? We’d be happy to speak with you about warranty options and what we can provide to help you out. Give us a call at (864) 862-7709, (843) 881-8894, or contact us online today!